IN YOUR FACE COFFEE. 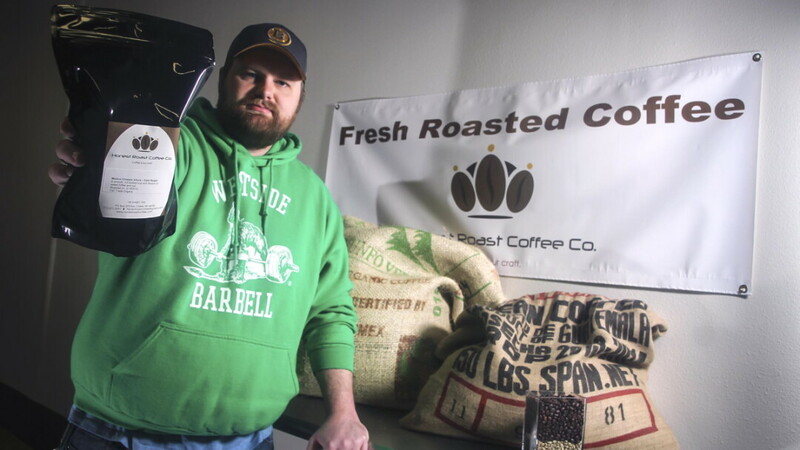 Matt Schwahn, owner of Honest Roast Coffee Co., housed in Banbury Place, is on a mission to bring quality Joe he roasts himself to the Chippewa Valley because life’s too short for bad coffee. When it comes to coffee, everyone has a different opinion. Some prefer it black, some prefer a little coffee with their creamer, and some go for the fancy syrups and Splenda packets. But regardless of your preferences of half-and-half or medium to dark roast, there’s a coffee bean for you residing within Honest Roast Coffee Co. in Banbury Place. For Schwahn, Honest Roast Coffee Co. is truly a labor of love, combining both of his passions for coffee and the scientific method to make a delicious cup of Joe. Schwahn imports coffee from all over the world and roasts the beans right here in Eau Claire. He has developed his own special roasting methodology that ensures bold flavor. While most coffee companies turn up the heat in order to roast large batches of beans, Schwahn slows it down and roasts at lower temperatures. He does all of the roasting himself; monitoring numbers and the crack of the beans as they roast. He also takes extra care so that the beans get from the roaster to the bag as soon as possible to preserve freshness. You’ll find no stale beans at Honest Roast. As far as the future of Honest Roast Coffee Co., Schwahn says that he doesn’t plan on expanding into a cafe. With the path he’s on now, Schwahn’s in good shape. His analytical approach to roasting and concentration on quality and customer satisfaction makes Honest Roast a company to keep your eye on as it grows within the Eau Claire community. To learn more and find out how to buy the beans, visit www.honestroastcoffee.com.